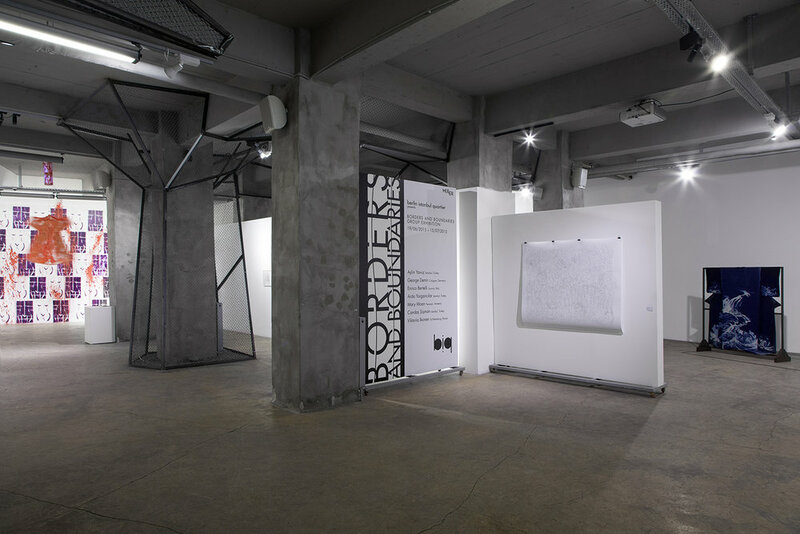 Mixer is proud to host the group exhibition “Borders and Boundaries” by The Berlin-Istanbul Quartier Artist Platform* between June 19th - July 15th, 2015. The exhibition showcases artworks from various disciplines such as photography, print, painting and video installations. One of the seven artists coming together for this exhibition, Aylin Yavuz’s prints perceive lines as a drawn boundary, based on Michel Foucault’s “utopian body” concept. Enrico Bertelli’s paintings where he crystallizes the identity of the surface through tapes and paint, makes us think beyond these borders. Mary Moon’s paintings, on the other hand, give an impression about the common architectural language that is a product of the proximity of Armenian and Turkish geographies, a unity which is yet interrupted with local and international politics. Borders and Boundaries can be seen at Mixer between June 19th - July 15th 2015, everyday except Mondays.